Cochin Shipyard Limited (CSL) delivered a 120T Bollard pull Anchor Handling Tug Supply Vessel (AHTS), “SCI Kundan”, to M/s Shipping Corporation of India, Mumbai (SCI). This is the Second of the series of 4 Nos of 120T Bollard pull AHTS being built by CSL for M/s Shipping Corporation of India. The vessel is of AH03 type, designed by STX OSV, Norway (ex- Aker Yards) and is certified under dual class by the Rules and Regulations of American Bureau of Shipping & Indian Register of Shipping and is registered under Indian flag. This 65.2 x 16.0 Meter vessel is a high end Anchor handler with a capacity of 120 T Bollard pull which is equipped with 2 Nos of 4000 KW Diesel Engines and 2 Nos of Controlled pitch propeller in Kort Nozzles. The vessel is having Grade I Dynamic Positioning feature along with compliance to ERRV class ‘C’ and also having capability of Fire Fighting class I. The vessel is built to accommodate 29 persons with all the capabilities of a Platform Supply Vessel in addition to the Anchor Handling facility. These vessels are used as support platforms to Rigs/Oil platforms. 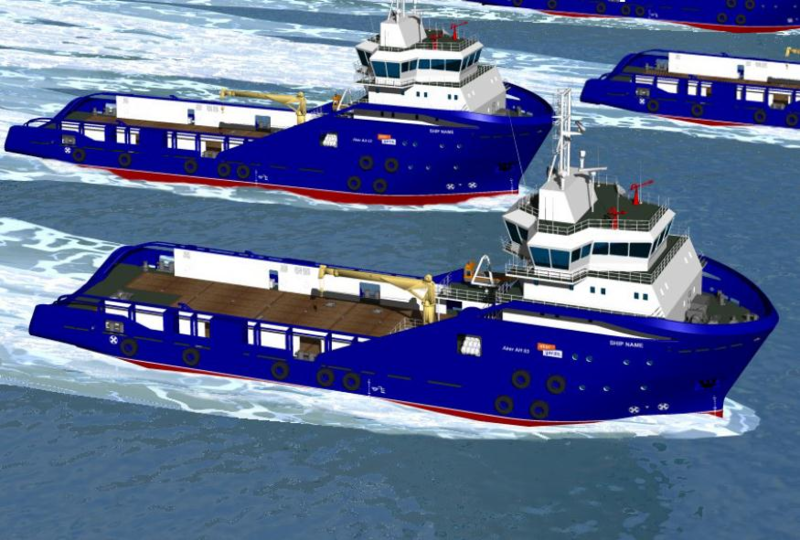 The shipyard is presently constructing another 4 nos of offshore vessels for M/s Shipping Corporation of India which are all in advanced stages of construction. Posted on April 4, 2012, in AHTS, Asia, India, MARINE VESSELS and tagged AHTS, Anchor handling tug supply vessel, Cochin, Cochin Shipyard, delivers, Gas, India, new, News, oil, platform, Rigs, SCI, shipyard. Bookmark the permalink. Comments Off on India: Cochin Shipyard Delivers New AHTS to SCI.